– Father Owen Lee, noted music scholar and author of Wagner: The Terrible Man and His Truthful Art and Wagner’s Ring: Turning The Sky Around. For over 150 years Wagner’s music has moved it’s audiences on an emotional level unlike any other composer throughout history. “In getting in touch with the depths of our personality we have a feeling of wholeness, yet we have a feeling of being set free from our own individuality, the unboundedness, becoming one with something else out there.” John. J. Pohanka’s book, “Wagner the Mystic,” explores these transformative dimensions of Wagner’s music dramas and how they express a mystical world view shared by philosophers as diverse as Buddha, Plato, Schopenhauer and Jesus. 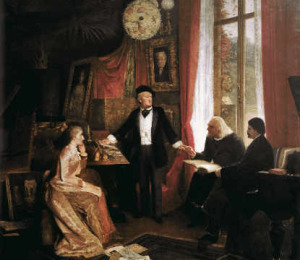 A lifelong student of philosophy and a founding member of the Washington Wagner Society, John Pohanka begins by asking “Why does Wagner’s music affect us in this way?” And, by applying his unique perspective of both philosopher and music lover to argue his case, he leads the reader to a greater understanding of the influence that mystical philosophy had on Wagner’s entire oeuvre. Pohanka explores how aspects of religious mysticism permeate the operas, in both their salvation-driven texts and their revolutionary music. 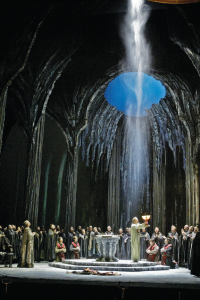 Going further, Pohanka shows how the quasi-religious aspects of Wagner’s art are reinforced by the ritualistic and immersive experiences he sought to create at Bayreuth. He makes a strong case for the assertion that the kinship between religious mysticism and the transformative power of his all-engulfing sensuous music is at the heart of Wagner’s impact on audiences. John J. Pohanka is a Trustee and past Chairman of Washington National Opera and a founder and director of the Wagner Society of Washington, DC. He writes and lectures extensively on Wagner and Opera as theater.